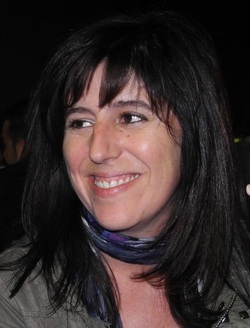 Isabel Correia is a Principal Researcher in Centro de Química Estrutural, a research institute from Instituto Superior Técnico (IST), in Lisbon. She was born in Viseu in 1971, graduated in 1997 in Chemical Engineering at Instituto Superior Tecnico, and completed her doctoral studies (PhD) in 2003 also in Instituto Superior Tecnico, in Centro de Química Estrutural. From 2003 to 2008 she did postdoctoral studies in several universities: IST, TuDelft and Imperial College. In 2008 she joined Centro de Química Estrutural as an Assistant Researcher and in 2013 she received a Principal Researcher position to work at the same institute. Her research interests are mainly in the areas of bioinorganic chemistry and coordination chemistry. She co-authored more than 80 publications, 2 proceedings with scientific refereeing, 6 conference proceedings and more than 65 technical presentations (9 as speaker) at national and international conferences. She works on the BIOIN group of CQE.